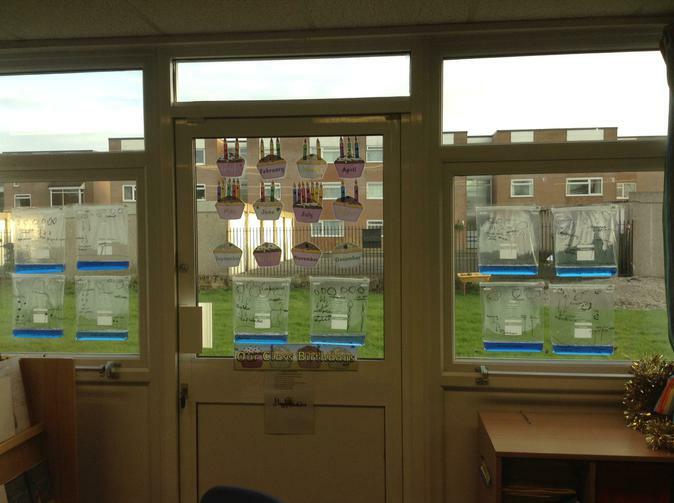 We have a real WOW start to our Science topic on States of Matter!! 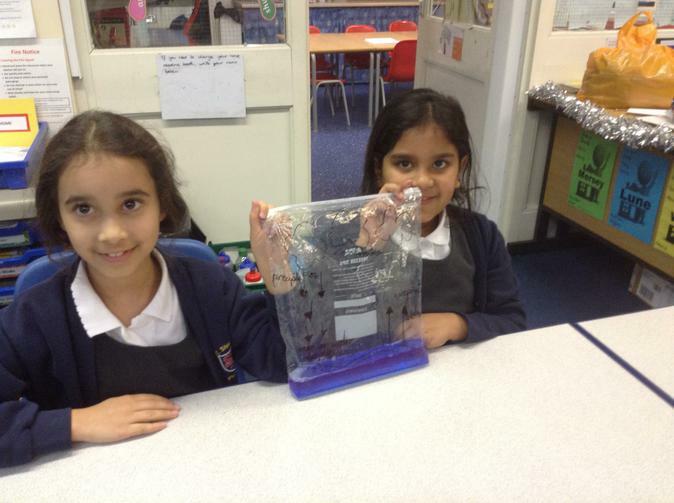 We made a special liquid that actually felt like a solid when we touched it! We got very messy but it was lots of fun!! 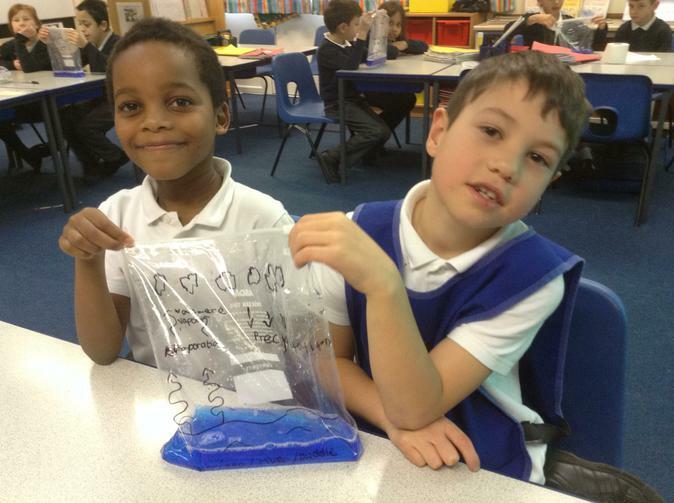 We also began to think about what a solid, liquid and gas was. We sorted some articles into categories and then described what they had in common. Shiven said that solids were hard, Oliver said they were strong and Jessica said that they didn't change shape. When we compared all the liquids, Gabriel said they all spread out and pour and Alfie said they always go to the bottom of the container. 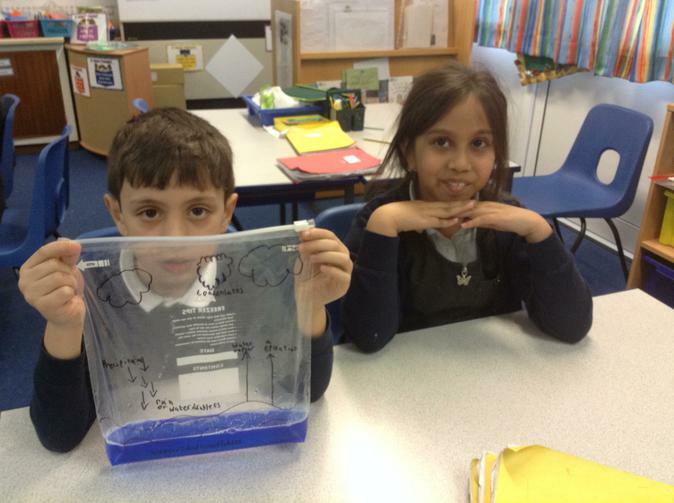 Finally, when we looked at the gases, Unaisah said that all gases could be squashed and Lewis said that they spread out everywhere! To tie in with our Harvest theme, we did some cooking and baking using apples and chocolate. 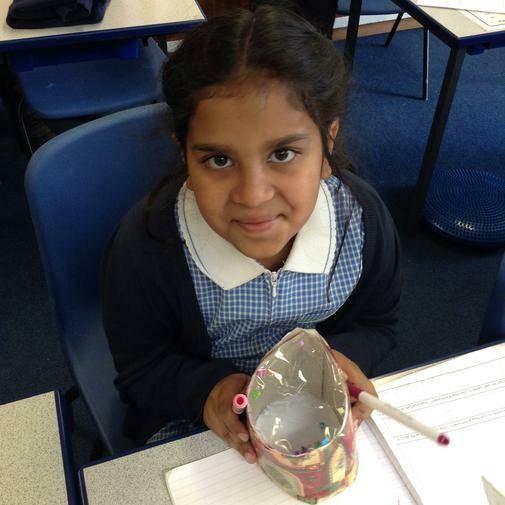 We investigated how chocolate melts through heating it and how the particles begin move apart. We made apple muffins and looked at how the solids ingredients turn into liquid when they were mixed together. After we put them in the oven, the mixture had turn back to a solid. 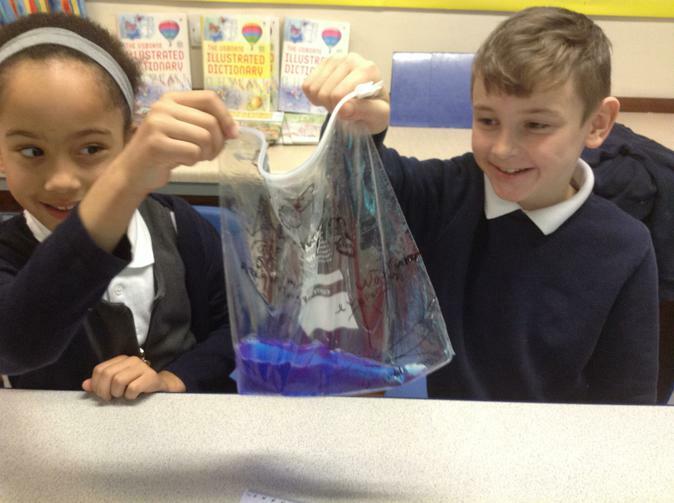 We thought this was because the heat had caused the liquid to evaporate. We put the rest of our harvest apples to good use and dipped them in our melted chocolate! They tasted delicious! 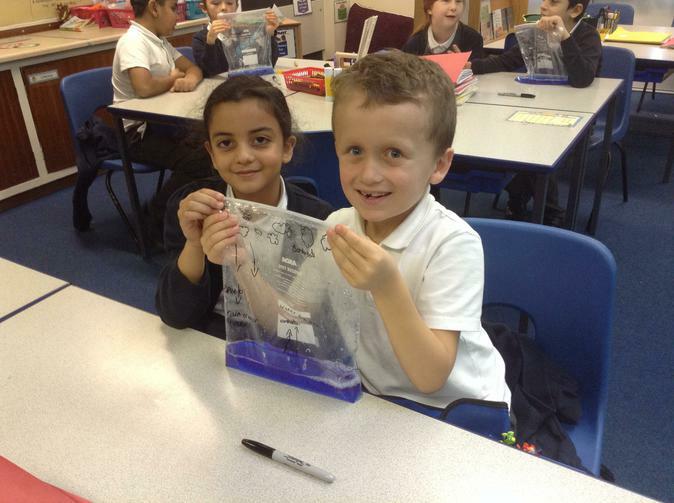 We had lots of fun and learnt a lot too! We wanted to know if gas weighed anything. We set up experiments using 5 different fizzy drinks. We weighed the drinks at the start and again once the drinks had gone flat. ALL THE DRINKS WEIGHED LESS!! We knew this meant gas must weigh something. Some drinks weighed less than others. We knew that this must mean some drinks were fizzier and had more gas in them to start with. 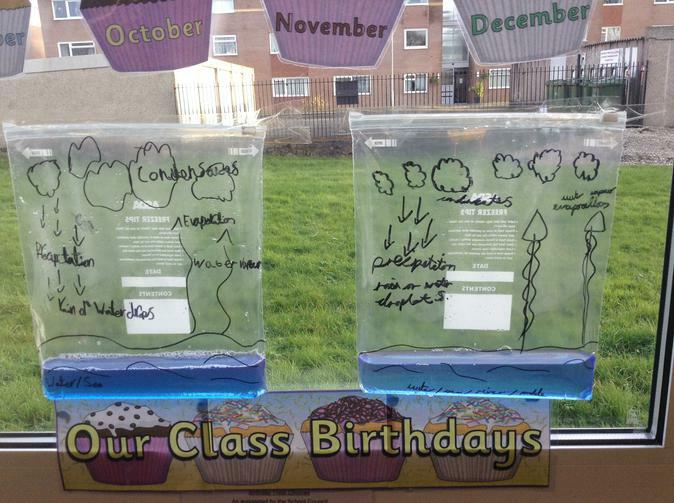 We have had a great time exploring water...we have done lots of investigations and observed how magic it is!!! It can go from a solid to a liquid to a gas and back again!! 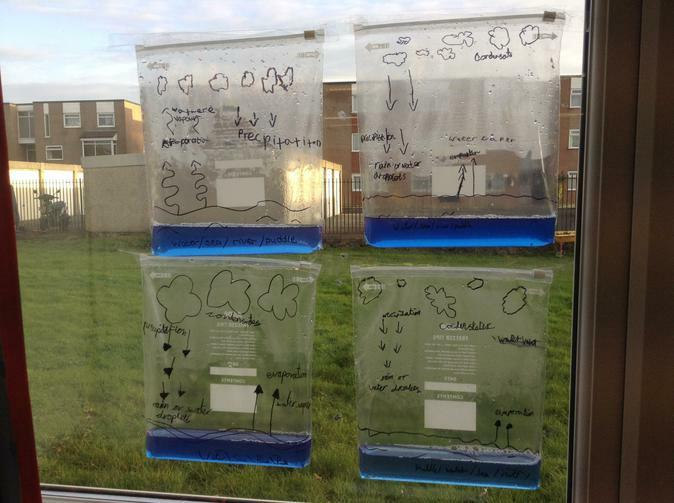 We also explored how temperature effects the rate of evaporation. We hung towels in different places in school that had different temperatures. We made sure that the test was fair by only changing the location and making sure that the towels, their size, the amount of water on them and the time that they were left for were all the same. That way we knew our results would be accurate. We weighed the towels on digital scales when the water was added to the towels and again at the end of the experiment to see how much water had evaporated. 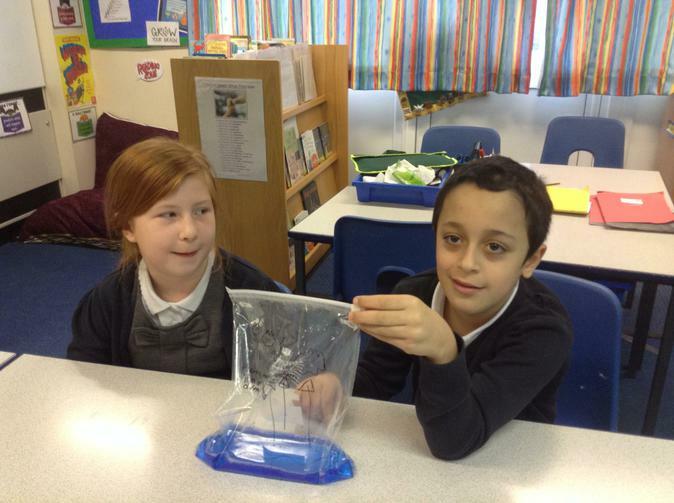 We learned that the hotter the temperature that the towel is in, the quicker the water evaporates from it. We used what we knew about the particles in a liquid to understand that the warmer the temperature is the more heat energy the particles in the liquid get and the more they move. They break their bonds from each other and escape as a gas! 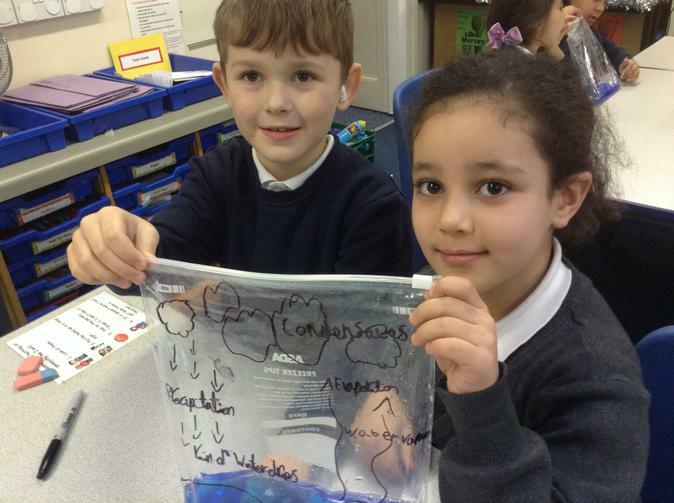 To end our topic we have had lots of fun investigating the water cycle. 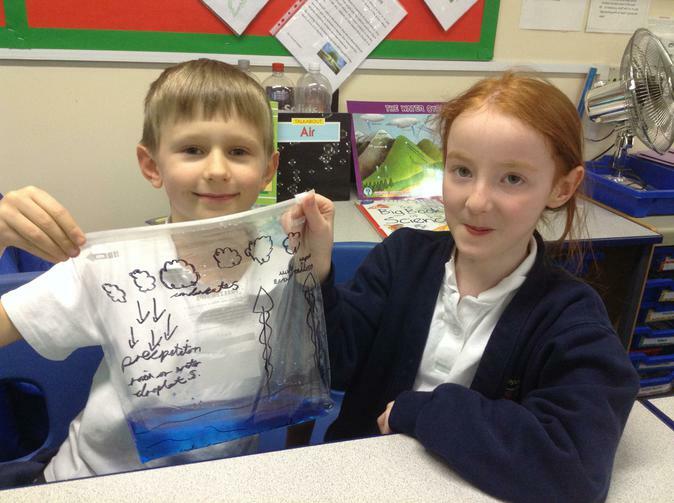 In pairs we made mini water cycles in a zippy bag using some water with blue food colouring in it. 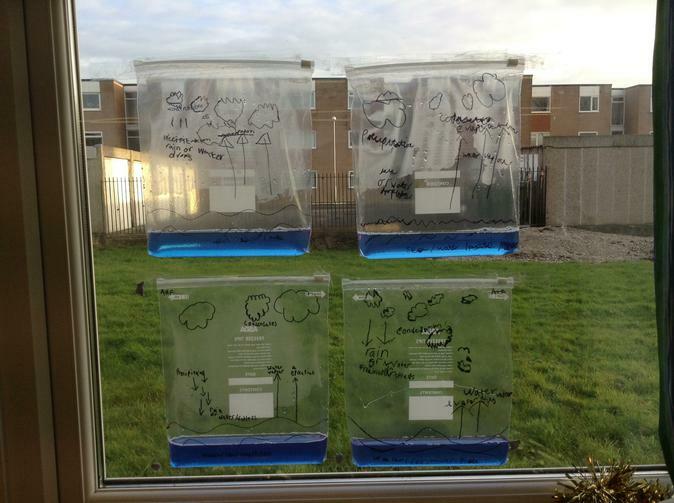 We drew the water cycle on the bag and will now observe what happens over the next week or so. Here are a few pictures of what we have done so far. 1st Half of the Spring Term. This half term we are exploring magnets. The children have come up with lots of great questions that they want to find the answers to like....What is inside a magnet? Is only metal magnetic? Can magnets be used for different things? We looked at lots of different magnets and saw that they come if many different shapes and forms. 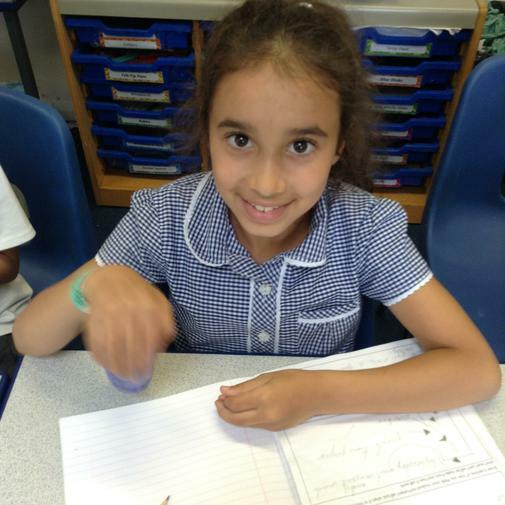 We had lots of fun exploring what was magnetic in our classroom too! We then investigated which magnet was the strongest. We explored how many paper clips each magnet could hold. We had to make sure that it was a fair test by using the same type of paper clips each time! We then looked at different types of forces. We did some research and found that there were lots of different ones! Push, pull and twist were the main ones that we looked at. We had lots of fun exploring pull and push forces using a Newton Meter and tested what would happen to a car if we used different forces on it. We then made up our own investigation about whether the surface the car travelled on made any difference to have far the car travelled or how fast it went.....we found out that it really did make a difference! 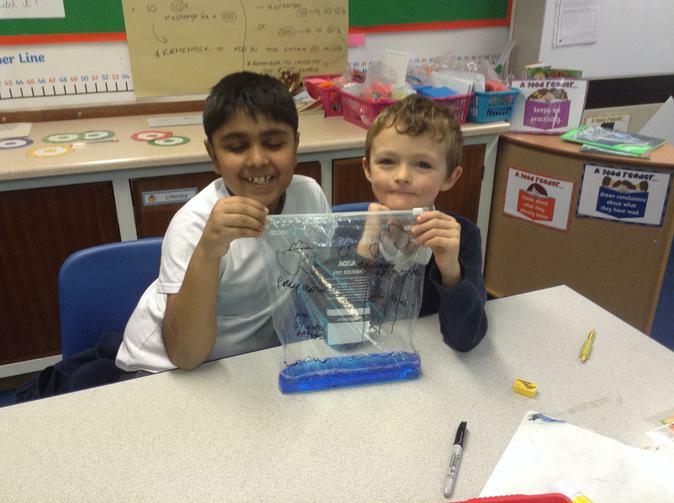 During STEM week we explored our new topic of Electricity. 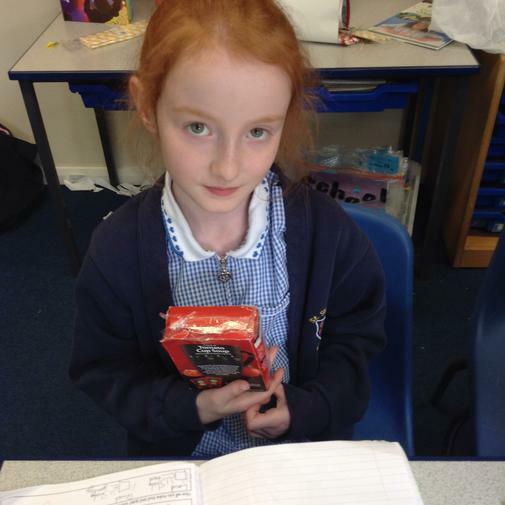 We had great fun making circuits with wires, batteries and bulbs. We had to get the bulb to light up! It was very tricky! Mrs Collier then set us a challenge! She made a gap in our circuit and challenged us to find objects in the classroom that we could put into the circuit to make the bulb light up. We tried lots of things! We found that lots of things that were made with metal made the light bulb light up and learnt that they are called conductors as those are objects that conduct electricity (which means those objects let the electricity pass through them). Some objects didn't make the light bulb light up when we put them in the circuit, we learnt that they are called insulators as they don't let the electricity pass through them. 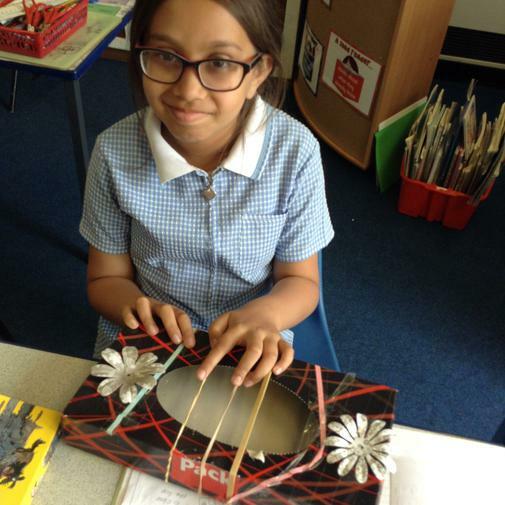 We then put our electricity skills to the test and began to make an electric circuit for our DT car project (see our Art/DT page for more information and photos!). this was very tricky too but we got there in the end! 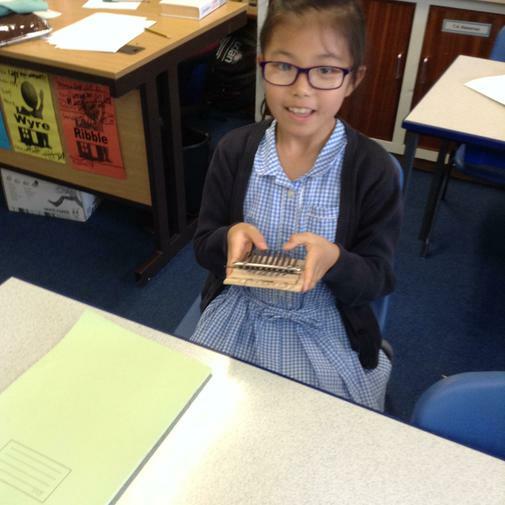 We have begun the summer term looking by exploring sound. 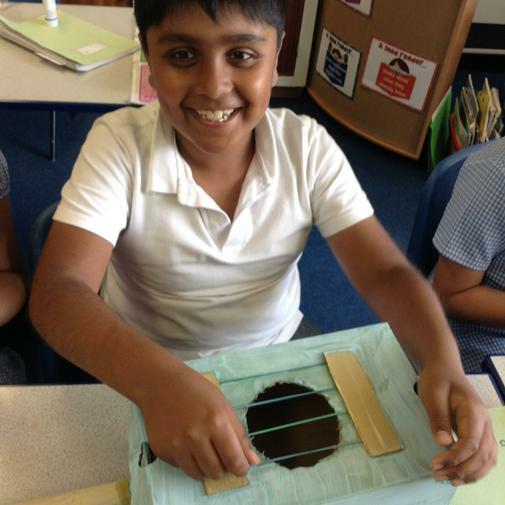 We have investigated how vibrations create sound and then went on to look at how different sounds are made using a pitch. 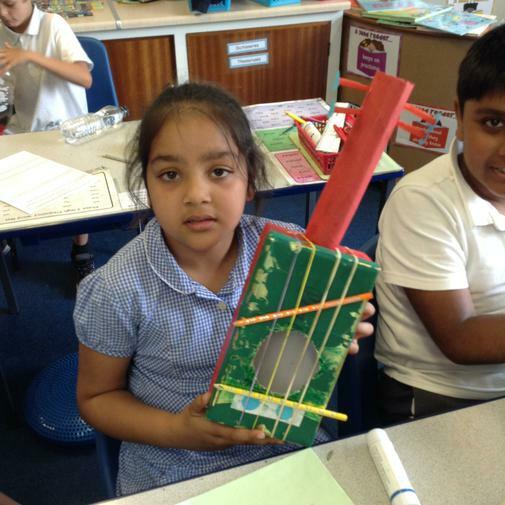 We had great fun making our own panpipes - we used different sized straws (length and diameter) to make each straw make a different sound when we blew across the top of them. 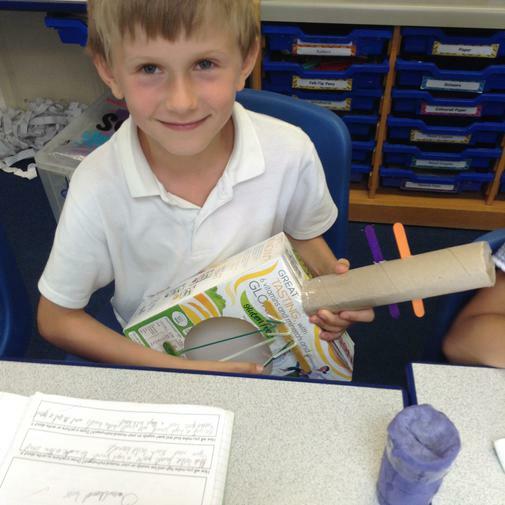 We then went on to make our own musical instruments using the skills that we had learnt and performed as part of rock bands! We have been taking advantage of the gorgeous sunny weather and been learning and exploring all about Light and Shadows. We even have made human shadow clocks on the playground to show how the earth moves around the sun. Have a look at all the fun we have had! 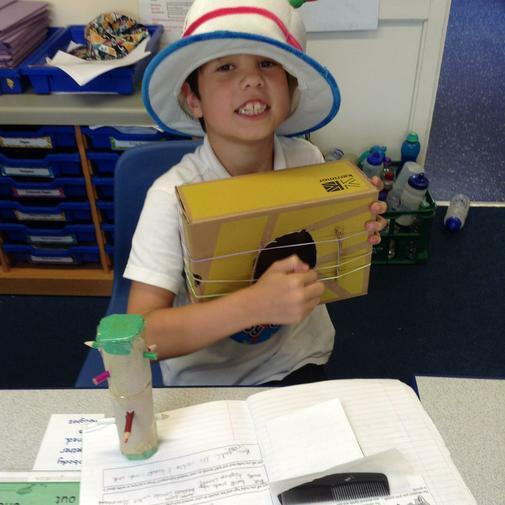 This year we have also had so much fun doing lots of things scientific. We had a visit from the Environment Agency to talk about how plastics are damaging the our world and the creatures in it. 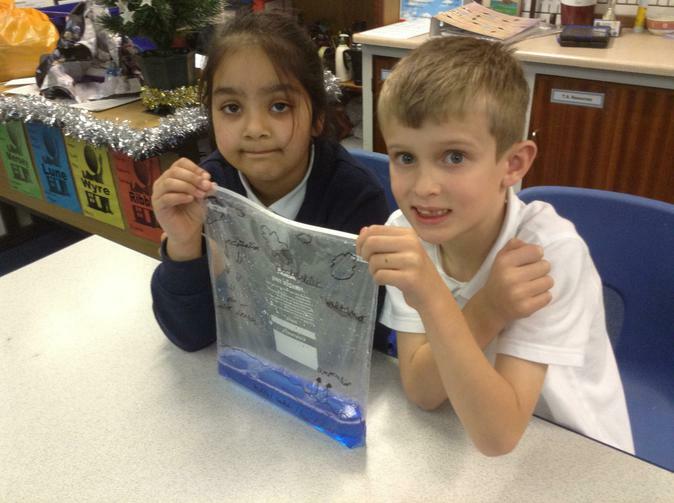 We then thought about what we could do to help reduce plastic. We used our science skills to make our own coloured and scented soaps so that we didn't have to keep buying packaged ones from the supermarkets. We also designed are our reusable bags so that we didn't have to keep buying plastic ones. 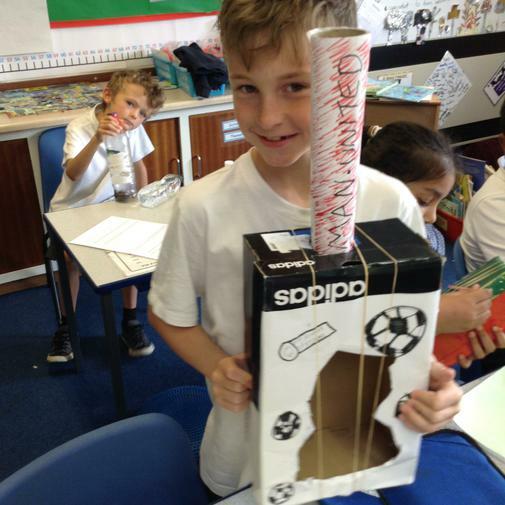 We also had a visit from the Science Department at ULCAN, who brought lots of things electrical related for us to do! We even made cars move around a race track with our minds!! !